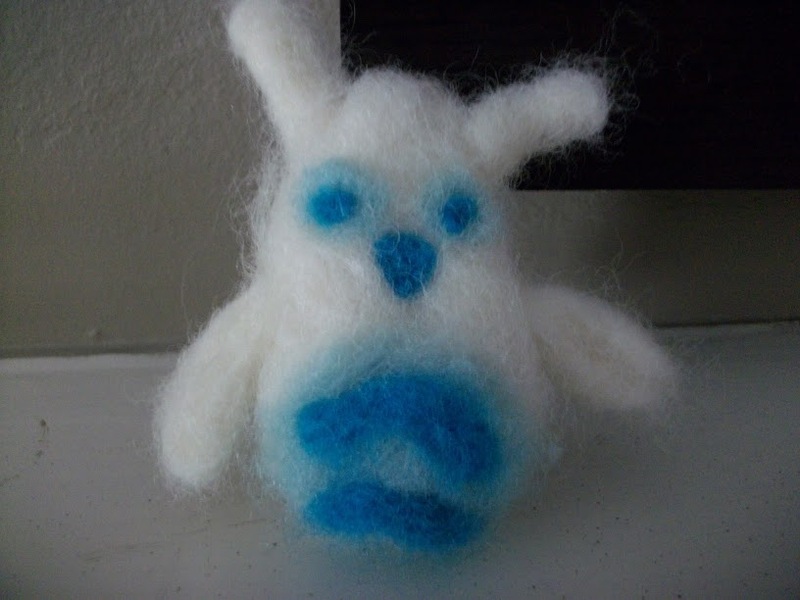 You may recall from my felted butterfly post that I was inspired to try needle felting by this video from Bubzbeauty. So inspired that I wanted my first project to be a little Totoro like her step-by-step showed. He was less Totoro shaped than I would have liked, but in the end he became a cute little owl…with large, bunny-ish ears. Hey, at least he came out cute. I’ve been in a bit of a dragon-ish mood lately. Where do you go/what do you do when you feel lonely?